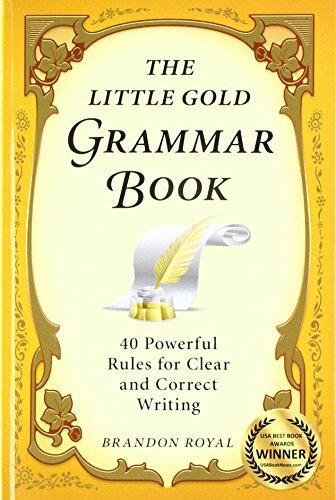 The Little Gold Grammar Book is based on a simple but powerful observation: Individuals who develop outstanding grammar skills do so primarily by mastering a limited number of the most important grammar rules, which they use over and over again. What are these recurring rules? The answer to this question is the basis of this book. In addition to covering the basics of grammar, diction, and idioms, this book contains a 100-question grammar quiz, a collection of 50-plus word pairings (diction), a compilation of 200 idioms, and 30 multiple-choice problems to integrate key concepts. Special sections cover editing tips and punctuation, American English versus British English, and traditional writing versus digital writing.